How We Test Washing Machines - Which? Discover how Which? tests washing machines to recommend the best models, and warn you about the worst, so you don't waste your money. We test washing machines in the same way you use them so you can be sure that a Best Buy washing machine will not only clean your clothes brilliantly, but also be easy to use. We also check how much each model will cost you to run, whether it will leave detergent on your clothes and how noisy it'll be. Watch our video above to find about the lengths Which? goes to to find Best Buy washing machines. Our reviews tell you how good each machine is at what you'd expect it to be good at. Will the washing machine clean my clothes and remove stains? Does it leave traces of detergent on my laundry? How well will it spin my clothes to dry them? Will it use a lot of water and cost a lot to run? Is using the washing machine and programmes easy? Will it be irritatingly noisy when running? How reliable will the washing machine be? Does your washing machine get you in a spin? Join Which? 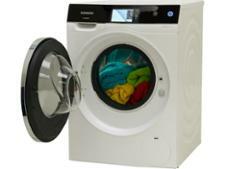 to access all our in-depth washing machine reviews. Already a member? Log in to find your new washing machine. Our cleaning tests are now tougher than ever, which means our Best Buy recommended machines are truly the best on the market for cleaning clothes. We challenge each machine we test to clean a range of stains, including tough-to-shift blood, grease, ink, milk, oil and rust. We run these wash tests three times to give each machine a good go at stain removal. If any of the wash or energy results are wildly different between tests – or if one test run is much longer or shorter than the others – we will carry out two further test washes. And we do this on both the 40°C cottons programme and the 40°C synthetics programme. How do the best and worst washing machines handle other everyday stains? We carried out a one-off test to show how the best and worst washing machines compare when tackling the everyday stains including blood, chocolate, coffee, grass, red wine and tomato sauce. The photo below shows you the difference in cleaning between a one-star machine, on the left, and five-star rated model, on the right. On each cloth, you can see the stain before a wash, and then below it how much was left after being put in a washing machine. Where all the stain was removed, you can only see the red outline indicating where the stain was. The photo below shows you the difference in cleaning between a one-star (on the left) and five-star rated model (on the right) in our tests, using specially prepared real stains. On each cloth, you can see the stain before a wash, and then below it how much was left after being put in a washing machine. Where all the stain was removed, you can only see the red outline indicating where the stain was. One-star wash: shown on the left in the image above. Here the washing machine was able to clean less than 60% of the soiling. Visibly more stains were left on the cloths compared with the three- and five-star machines. Three-star wash: does a considerably better job on stains, such as grass, chocolate and blood, when compared with the one-star machine - but still only removes about two-thirds of all the stains from the cloths. A three-star result represents what we consider average cleaning power. Five-star wash: shown on the right on the image above. Removing almost 85% of soiling in our tests, a five-star clean like the one will lift a bit more heavy soiling than a three star. The only stain that was still visible after the testing was the chocolate stain, which is extremely tough to wash out. Make sure you buy a five-star washing machine by checking our expert washing machine reviews before you buy. To measure how well each washing machine removes detergent during the rinse cycle, we take freshly rinsed washing from the machine, just before the spin cycle, and spin it in a super-fast spin dryer. This dryer spins at 2800rpm, roughly twice as fast as a typical washing machine. A machine that has been awarded one star for rinsing, may leave visible traces of detergent on your clothes. After the spin, we collect water from the clothes and measure how alkaline it is compared with the alkalinity of the tap water used in the wash. Detergent is alkaline, so the greater the increase, the poorer the washing machine is at rinsing. One-star rinse: a machine that has been awarded one star for rinsing clothes may leave visible traces of detergent on your laundry. In our tests, one in four cotton garments had bits of powder detergent on the fabric. Three-star rinse: washing machines that provide a three-star rinse should not leave any visible traces of detergent behind. If you can see residue on your clothing, make sure you're not adding too much detergent to the washing machine. Five-star rinse: washing machines that offer a five-star rinse are the best we've seen at washing away detergent. It's all well and good if a washing machine can clean clothes, but what about if it leaves them far too wet, making drying your laundry a total nightmare? That's why we measure how much moisture is left in the laundry each machine spins, so we can rate how well a machine will dry your clothes. 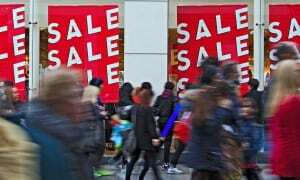 Will it cost a lot to run the washing machine? 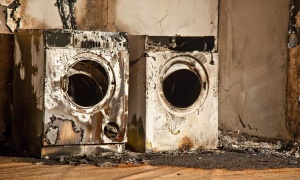 We don't just take a manufacturer's word for it when they say their washing machines are energy efficient. During each of the three cycles we run we measure how much water and energy the machine uses, what temperature the machine gets up to and how long the main and rinse programmes take. We bring together all of this information to work out exactly how much water and energy each machine uses, and we have found big differences between machines and what's claimed on the energy label. 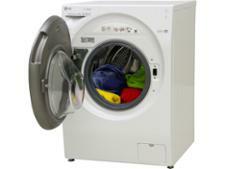 Our energy and water use tests are based on more realistic washing machine use. We measure using the 40°C cotton programme, which is the most commonly used wash programme by Which? members. In contrast, the official EU Energy Label is two-thirds based on the 60°C cotton programme. All this means that for each model we can tell you how much you would pay to use it over the period of a year (based on using it four times a week on the 40°C cotton programme), so a cheap machine could end up being a false economy. Is using the washing machine and setting its programmes easy? selecting a programme and operating the controls. Our lab experts rate everything from one (really difficult) to six (very easy). This includes looking at how straightforward the instructions are to follow, the ease of opening and closing the door, and what the handle is like to grip, how clear the control panel and display is, whether you can easily turn the dials to select a programme and whether the detergent tray is stiff to open and close. On top of this, we also time how long programmes take to run, so you aren't stuck with a model that is painfully slow at cleaning your clothes. You therefore know that a Best Buy washing machines will be no trouble at all to use making the regular laundry chore a cinch. All washing machines are a little noisy when they're running, but some are far louder than others, to the point where it makes carrying on a conversation or watching TV very hard around the machine. That's why we use a panel of five experts to test how noisy each washing machine is during their wash and spin cycles. From five for a very quiet machine, to one for an extremely noisy machine, these ratings inform our star rating for noise, which you can find within each review. In addition, the Which? experts don't only assess the noise level. 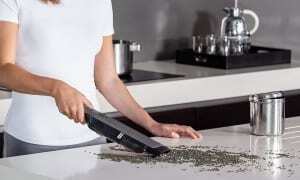 They also rate how intrusive and annoying the sound is so that you can avoid particularly frustrating machines. Washing machines are an essential appliance, and when your model breaks, it can be a real pain to fix or replace. So to provide peace of mind, we only give Best Buy awards to brands of washing machines that have three stars or more in our washing machine reliability survey, or to models that offer at least a free five-year parts and labour warranty. Our reliability survey is based on speaking to thousands of washing machine owners about any problems with the washing machine they own. We can therefore also provide overall ratings for the big washing machine brands, such as Miele, Bosch, Hotpoint, Beko and AEG. That way, you know that a Best Buy washing machine you buy will not only be excellent at cleaning, easy to use and quiet, but it'll also last you for years to come. The Which? tests are designed to mimic how you use your washing machine, so you can be sure the results will reflect what you find at home. By consulting our members, we've been able to build up a picture of how most people use their washing machine. Although many washing machines include 15 or more wash programmes, we know in reality most people stick to using the main cotton wash, the short programme and the easy-care wash.
Each programme we use is chosen in agreement with our independent lab testers after careful consideration of the controls and the manufacturers’ instructions, so we can be sure we accurately reflect the performance of washing machines. Modern washing detergents enable most people to wash at 40°C for almost all washes, so we only test at this temperature because this helps to protect the environment by reducing the amount of energy and water used by doing the washing. We also fill the washing machine to 80% of its capacity, to make the cycle as efficient as possible and so as not to overload the machine. The criteria we use are based on our experience of testing hundreds of washing machines each year. We believe that the most important job of a washing machine is to clean your clothes, which is why the majority of the final test score is dependent upon the cleaning power. You won't find any Best Buy washing machines that don't clean your clothes well. Currently, a machine needs 70% to earn our Best Buy recommendation. Join Which? 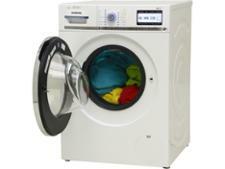 to access all our in-depth washing machine reviews. Already a member? Log in to find your new washing machine.